The Seahawks get into the win column for the first time this season with a 26-0 victory over the Chicago Bears. There's a lot to be excited about from this game, but as listeners will notice from Adam's tone, there's also some things that continue to frustrate fans. Special teams was a big part of this win with 10 points coming from kick and punt returns and another nine points in field goals. 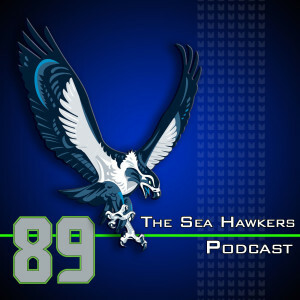 After the recap of the Bears, the guys take a look at the state of the NFC West. How are things playing out three weeks into the season compared to what was expected before the season started? The Cardinals are having a ton of success to this point. At what point in the season with the Arizona Cardinals be tested? Next up on the schedule is the Detroit Lions. Adam contends this this team is one that does nothing well, and Brandan thinks it's clear they're better than the Bears. If there's one thing we can depend on for the Lions so far this season is to not show up in the second half of the football game, which is where Seahawks fans have seen their team show some proficiency to this point. Do better nods this week go to Chris Sims of Bleacher Report as well as any analyst who dares to talk about our cornerback not having enough speed merely by watching his punt return. Better at Life nods go to NASA scientists and Richard Sherman for his postgame commentary.